Right in the heart of the beautiful city of Altamonte Springs, lies the all so pretty Cranes Roost Park. And I’m not throwing confetti at this city only because I live here! Altamonte has beauty, nature, and accessibility. Although I rarely do photos in Cranes Roost, there are times when this is just the place that works for my clients and I’m ok with that! Doing family sessions in Altamonte Springs give the photos a certain charm which I absolutely love. When choosing what to wear for your photo session, keep in mind that the best way to go is by choosing a color palette and then matching accordingly. 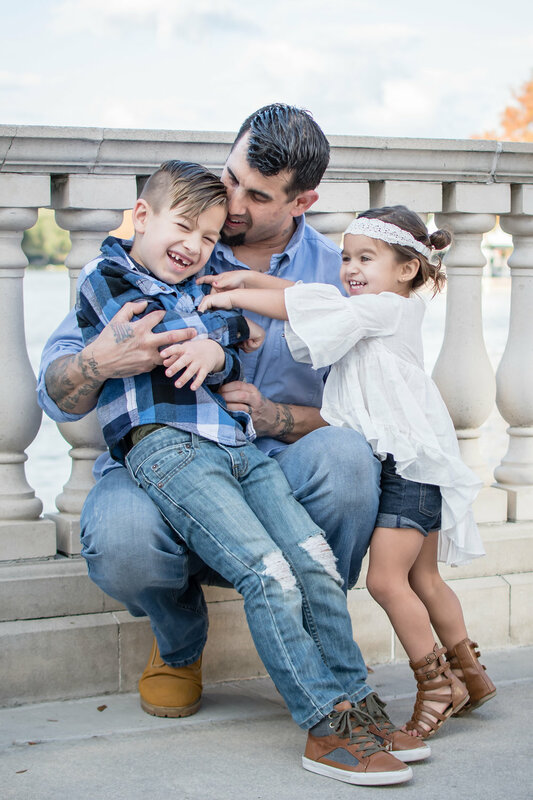 This family picked denim blue and beige for their family session and it looks amazing! For your family photos in Altamonte Springs, or anywhere in Central Florida, feel free to check out my Valentine Mini Sessions in Orlando offer!